According to Sánchez Brigido, after abandoning the idea that the rule of recognition is a coordinative convention in Lewis’s sense, Postema offered a new, more sophisticated version of conventionalism. According to this new version, the rule of recognition should be understood, not as a coordinative convention, but as a cooperative convention. The paper examines Postema’s cooperative convention account. It claims that it is unsuccessful for a crucial reason: certain features of officials’ practice show that there might be a practice constitutive of a rule of recognition but there need not be any cooperative problem to be solved. Uncertainty, interdependence and mutually conditional preferences (the conditions that define a cooperative problem) need not be present. 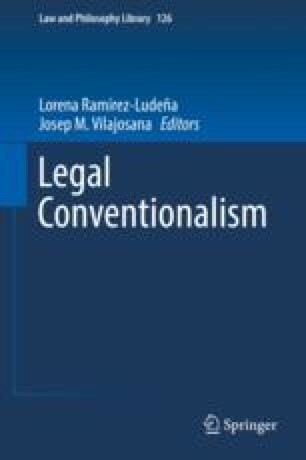 The paper also suggests that a proper account of rules of recognition should recognize that the practice constituted by such a rule should be understood, not as a cooperative convention, but as a special type of institutional practice. I am grateful to Hernán Bouvier and Juan Iosa for their comments on an earlier version of this work.